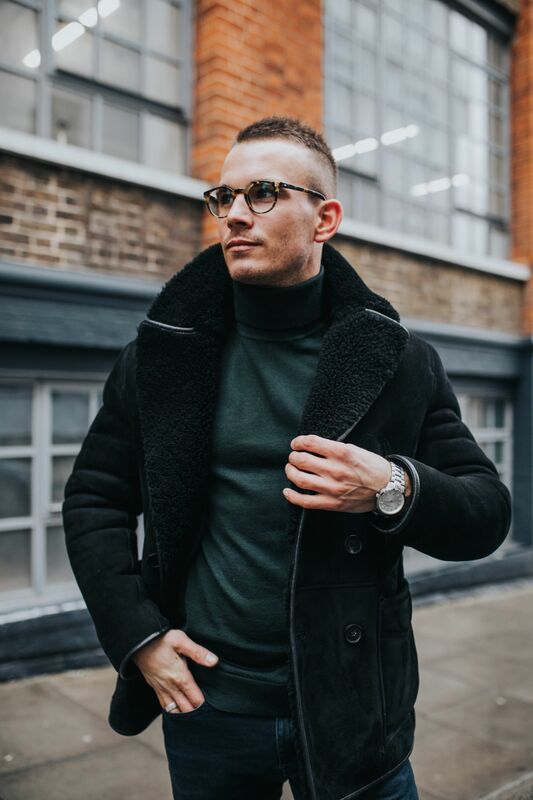 You guys may have noticed that I’m rather partial to a roll neck or two and I’m forever telling myself to wear more shirts, but when it’s approaching freezing there really isn’t a better base layer and a roll neck is ultra versatile. 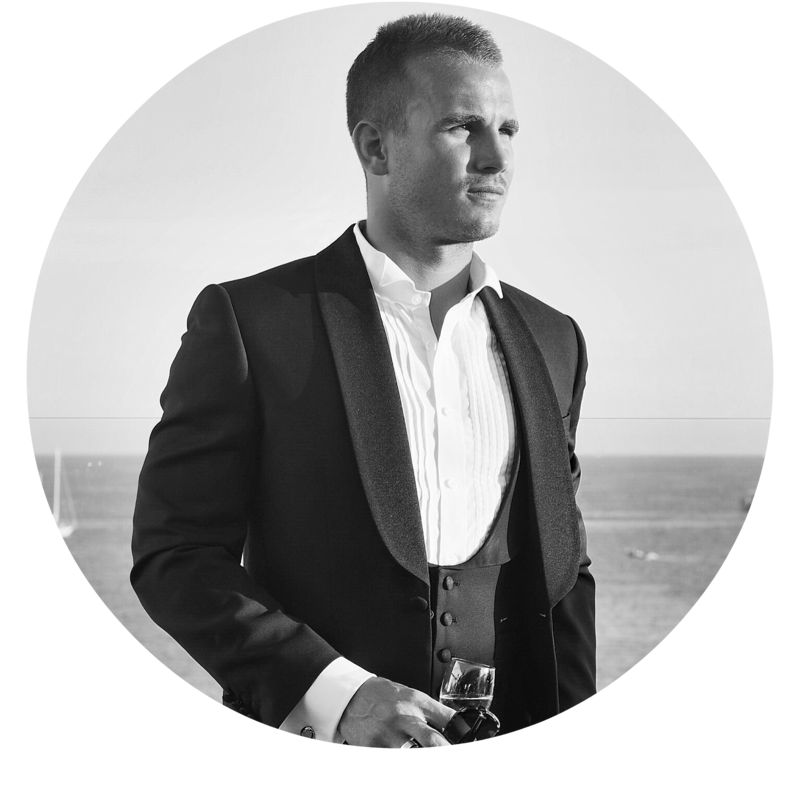 I must confess, the double-breasted blazer is another one of my 2018 obsessions that will be continuing for the foreseeable…! 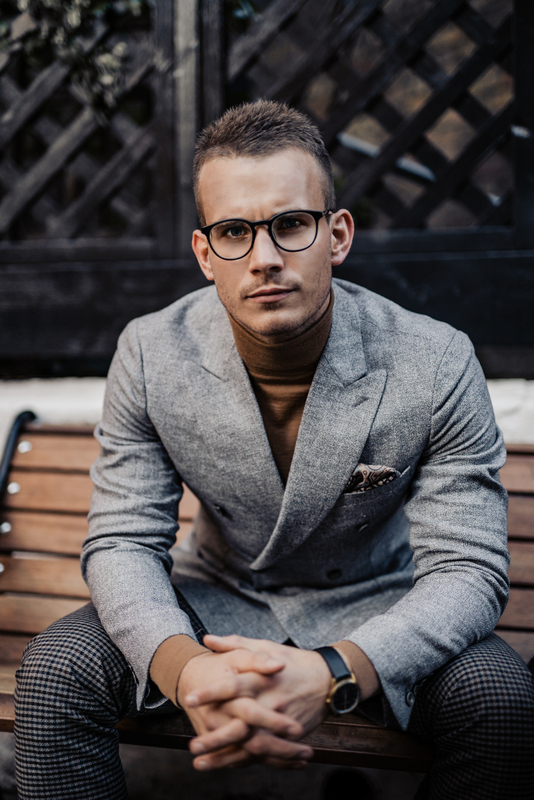 That bit slicker than a regular blazer, the double-breasted looks even better with a roll neck than when paired with a shirt. 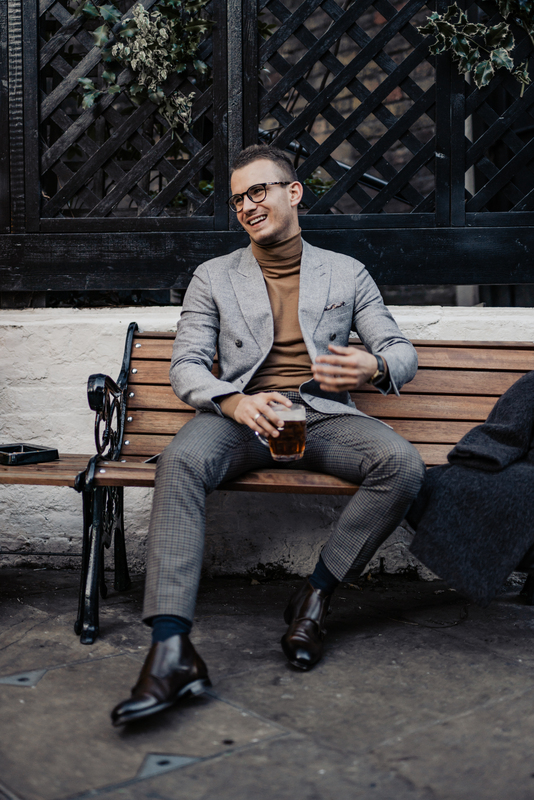 Look for a versatile DB in a fairly neutral colour and let your roll neck do the real talking for a seriously smart outfit fit for any occasion. 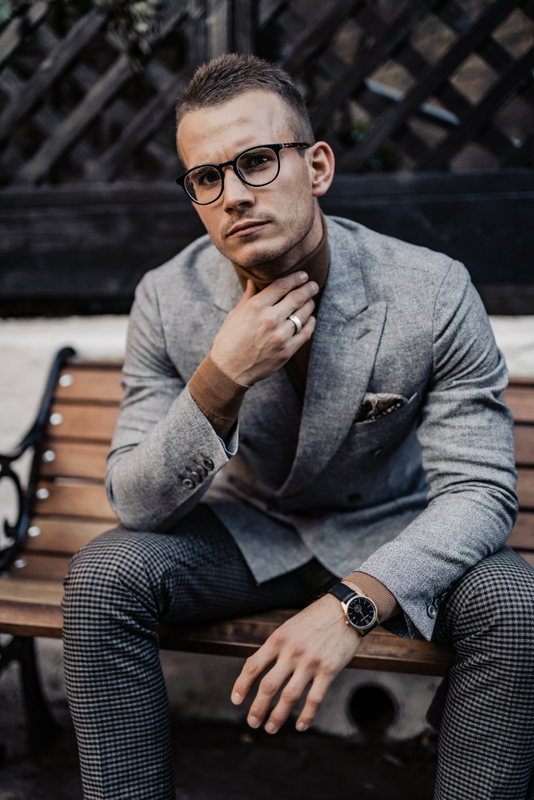 *When To Wear – The ideal outfit for a smarter, more dressed-up affair and without a doubt an eye catching evening combination. Don’t forget a colourful pocket-square for the perfect finishing touch to the look. 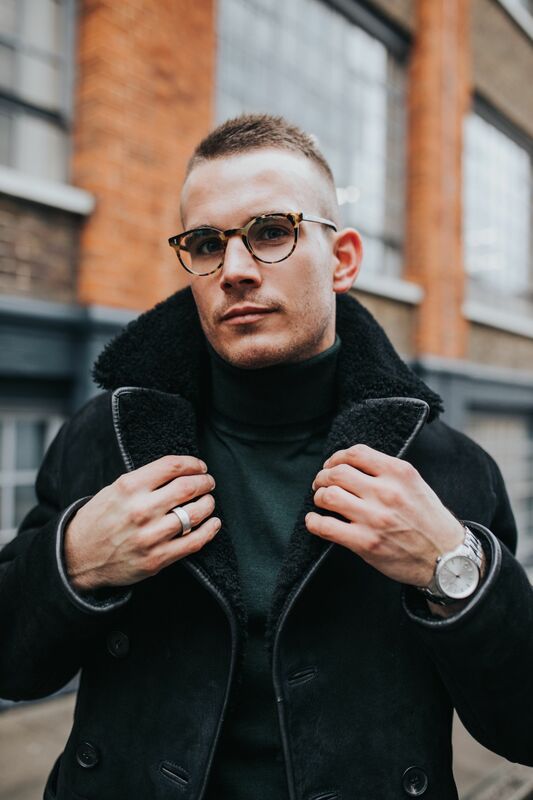 Every guy needs a shearling jacket in his life and although they are a rather hefty investment, a good quality shearling should last you for a very long time (!) 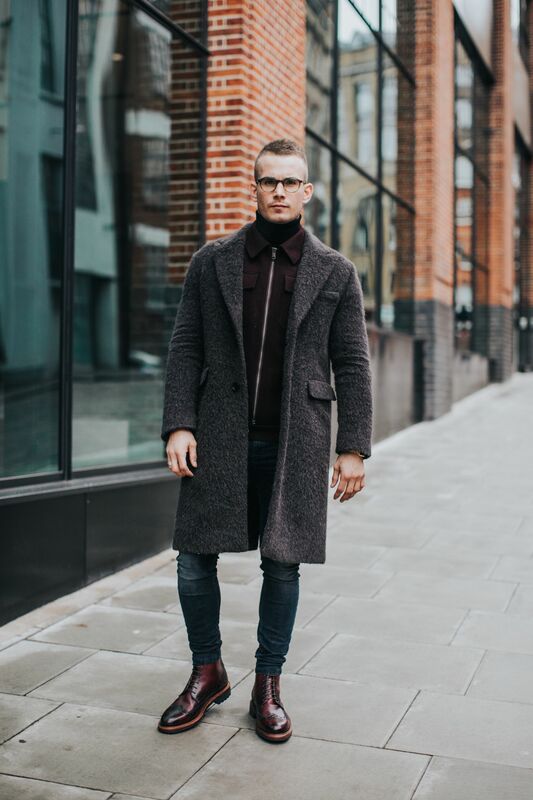 When combined with a roll neck it’s the ultimate in smart casual attire with the added benefit of being toasty AF. 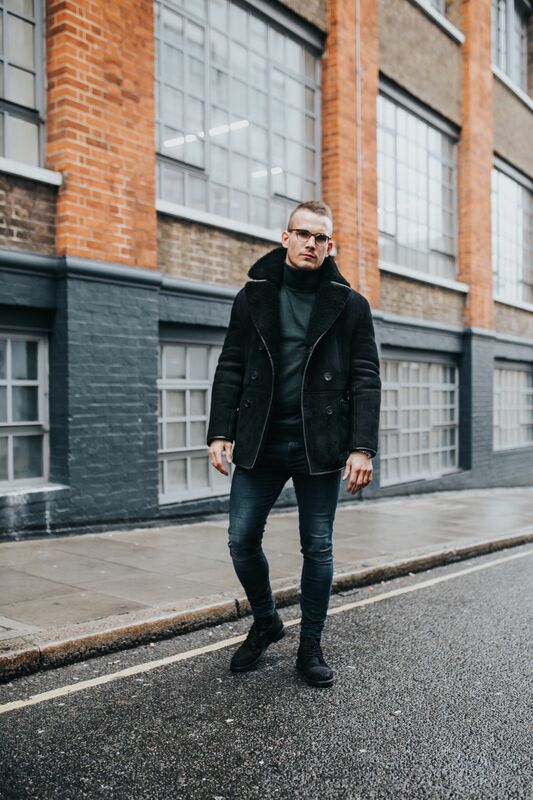 Colour wise you can’t really go wrong with a black shearling and a slightly more colourful base layer, I’m always a fan of dark green, rich burgundy or oatmeal for this time of year. 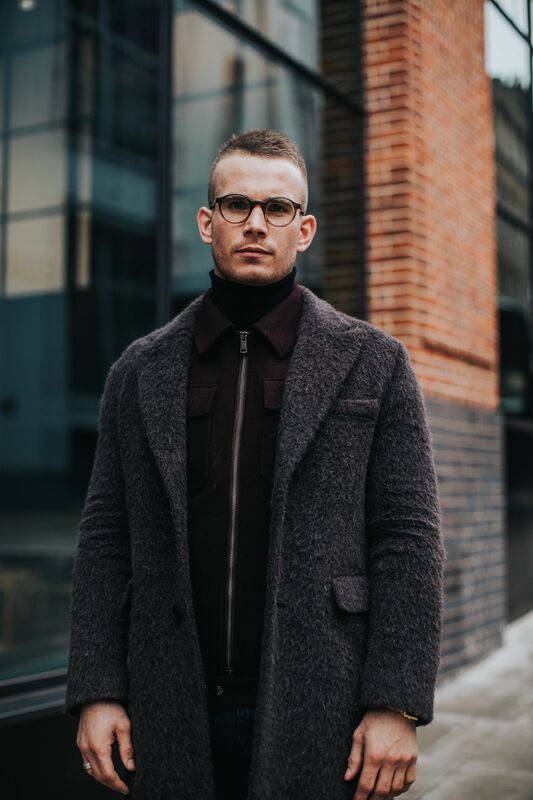 *When To Wear – Dust off the shearling for those seriously cold days when a classic overcoat won’t quite cut the mustard. 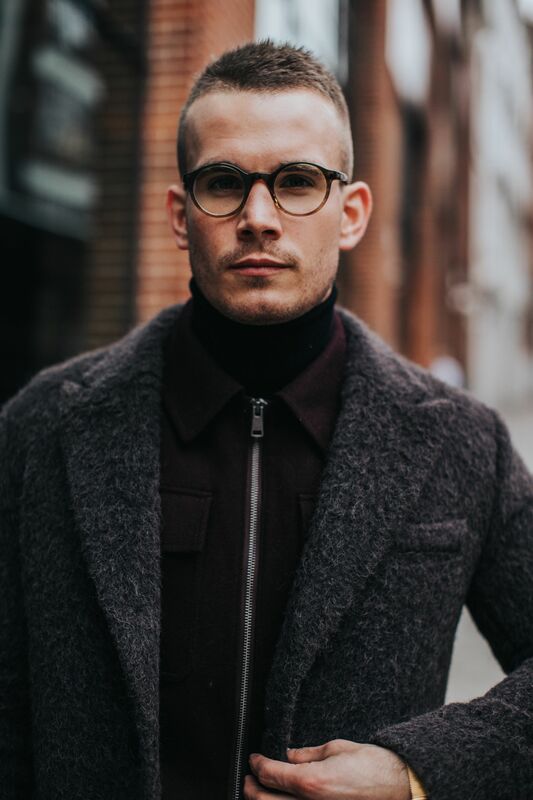 Quite possibly the cosiest way to rock a roll neck this Winter, layer under a wool over-shirt for a smart look. 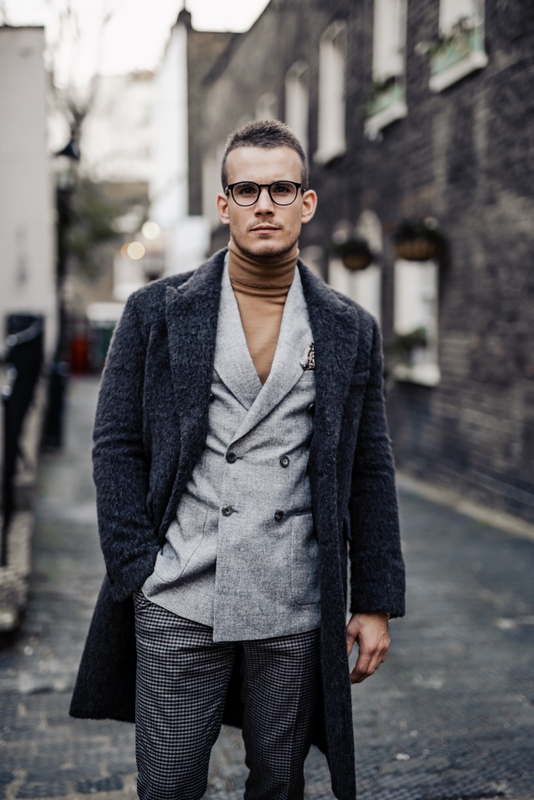 I particularly like this combination if I know I’m going to be outside a fair bit and of course it’s a great way of keeping warm whilst staying stylish. Look for a differing colour combination, ideally keeping to one colour palate or tone. Black or navy alongside a deep burgundy or dark green is always a winner. *When To Wear – rock this combination for a hectic day of meetings when you’ll be rushing all over town. Which is your favourite way to rock a roll neck this season? Previous Post It’s Officially Shearling Season!